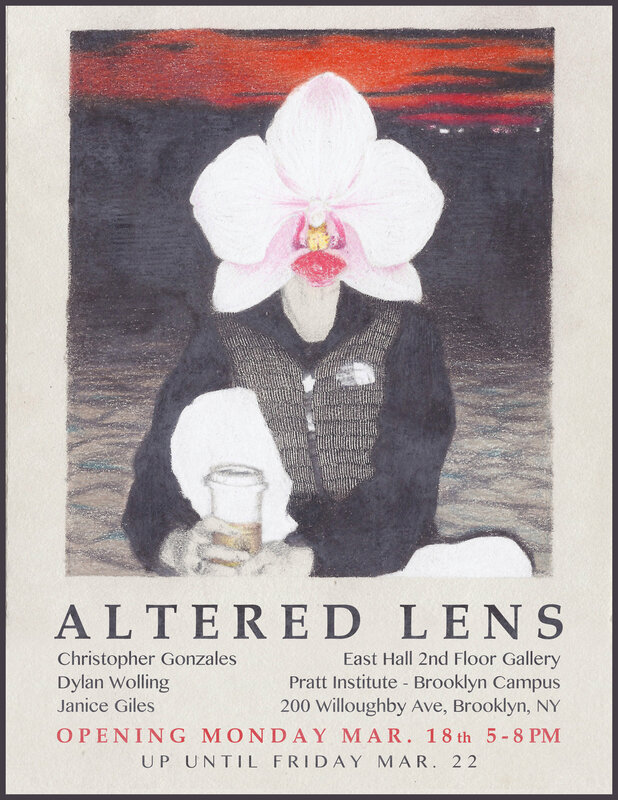 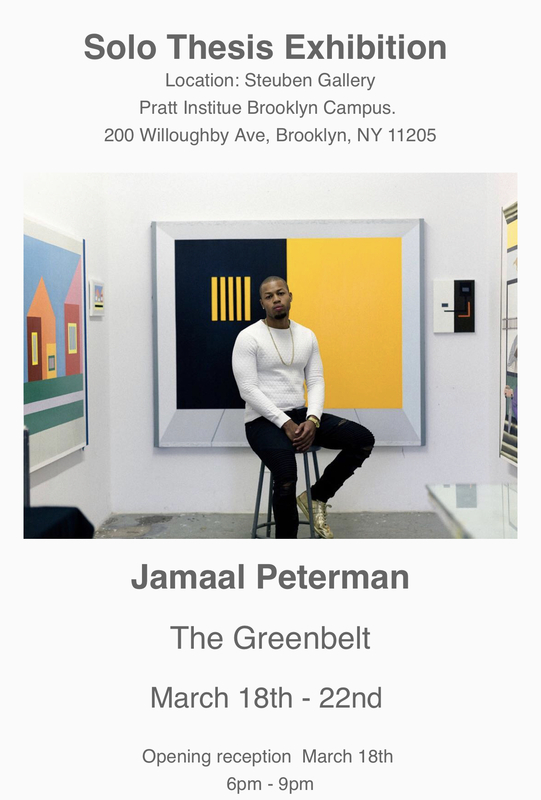 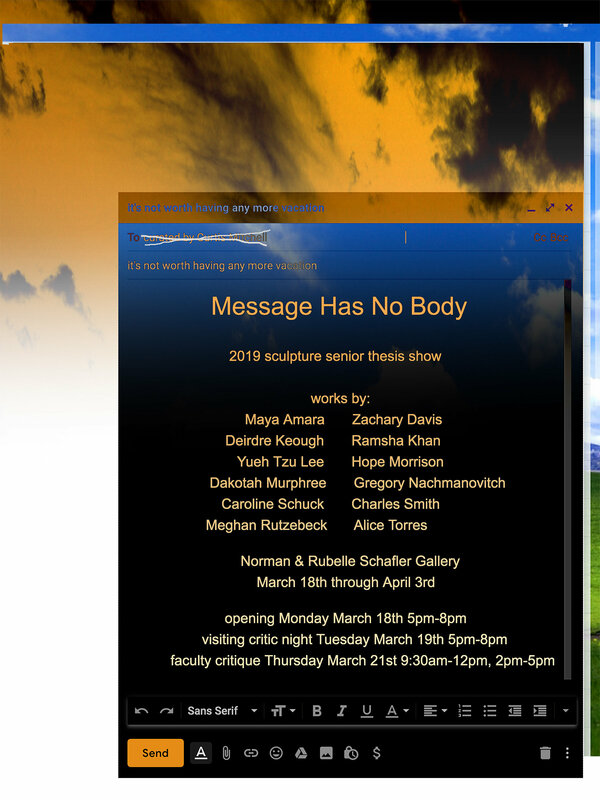 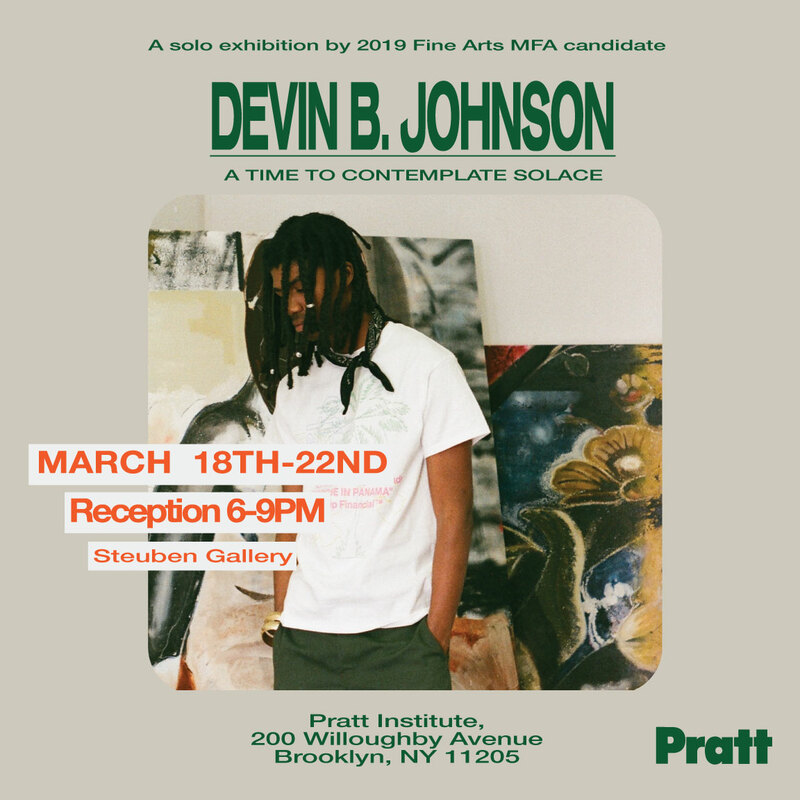 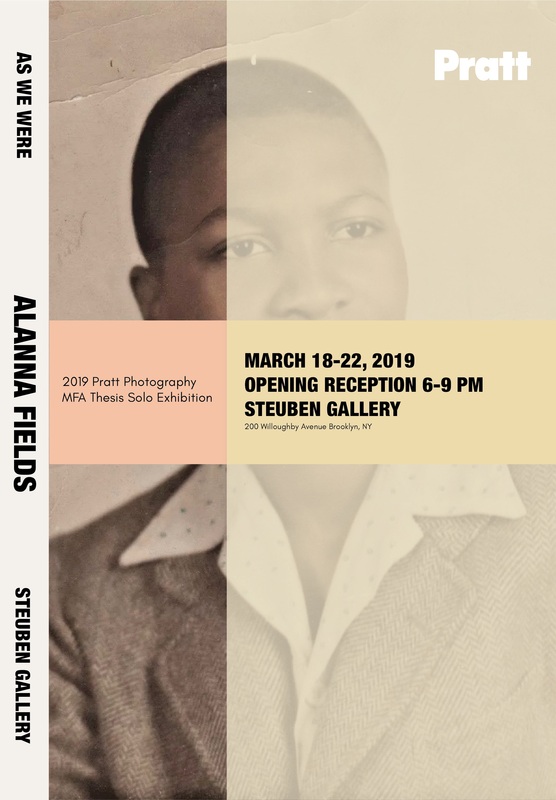 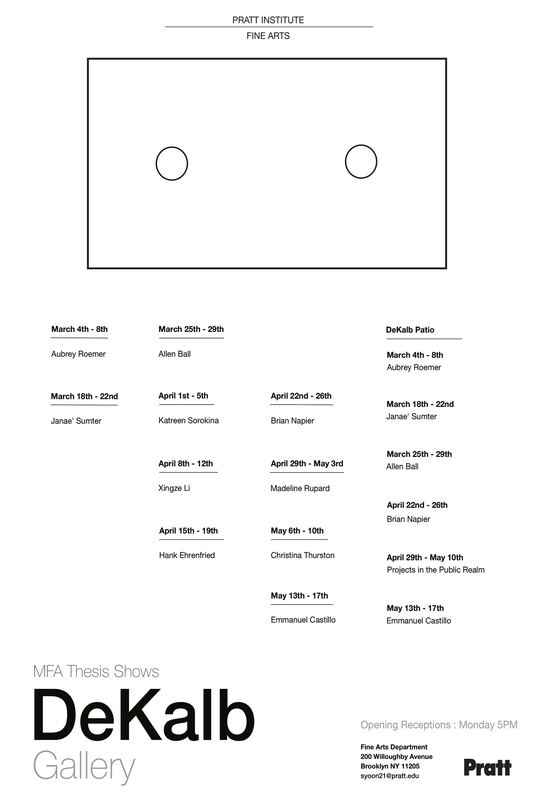 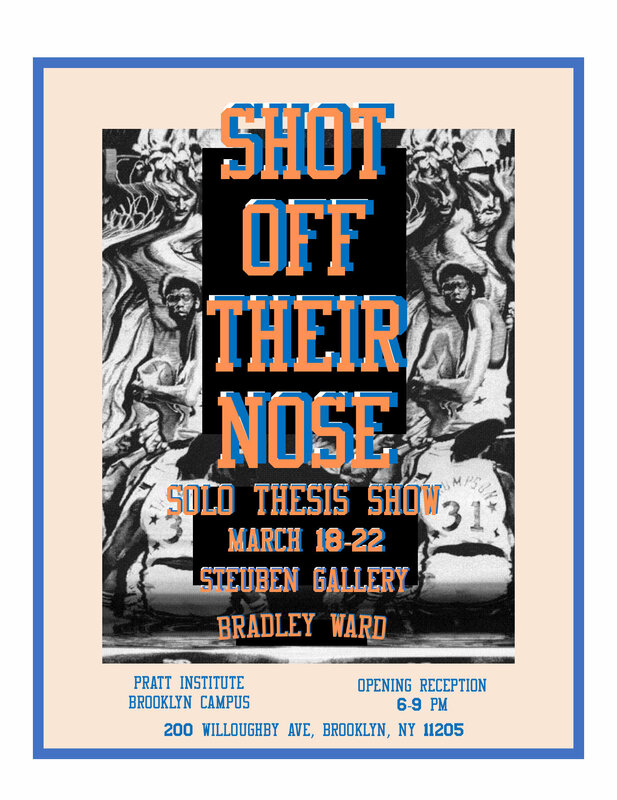 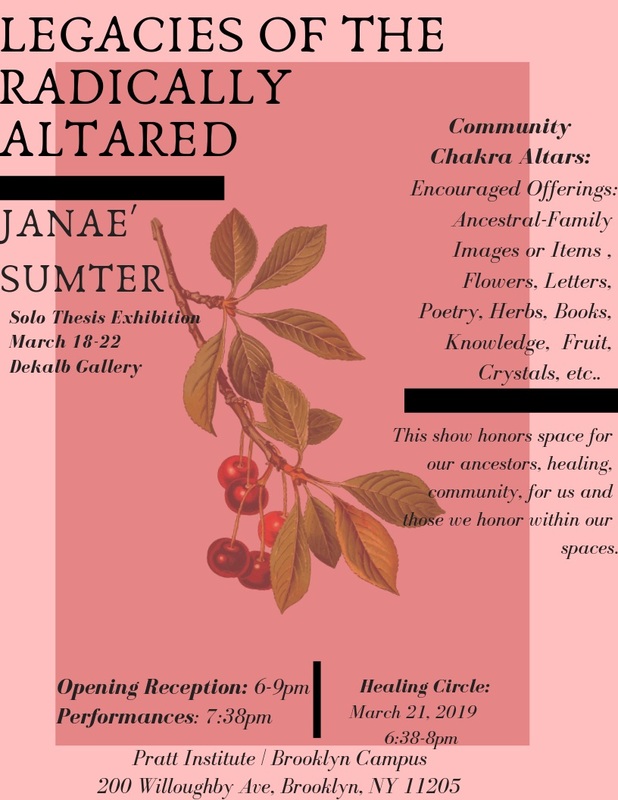 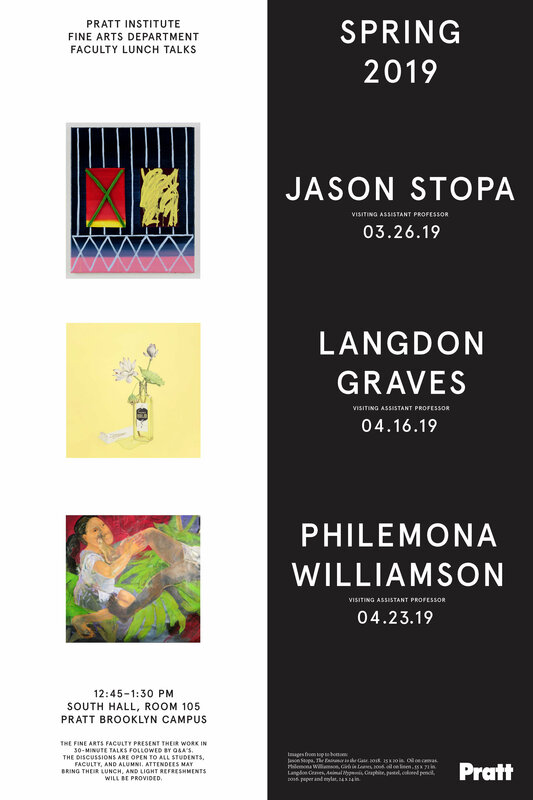 Please join us for our MFA Thesis exhibitions in Dekalb and Steuben Galleries and our BFA Painting and Drawing Thesis exhibitions in East Hall Gallery. 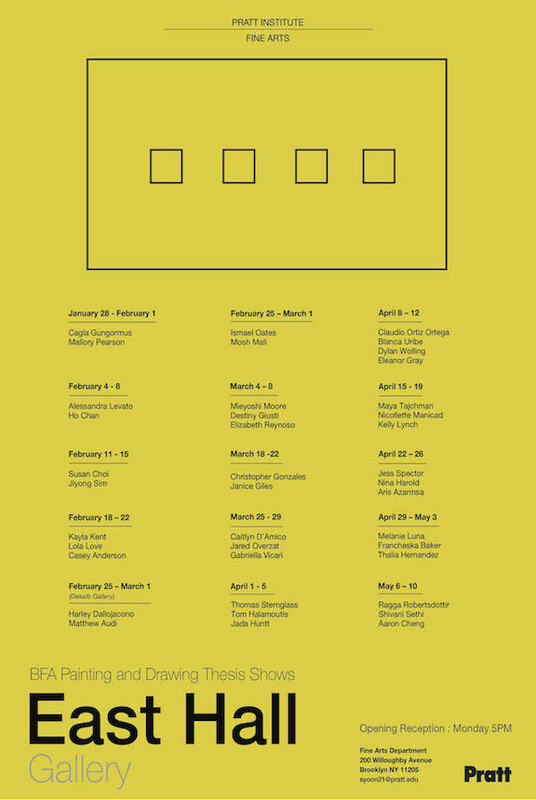 All openings are on Mondays from 5-8pm weekly. 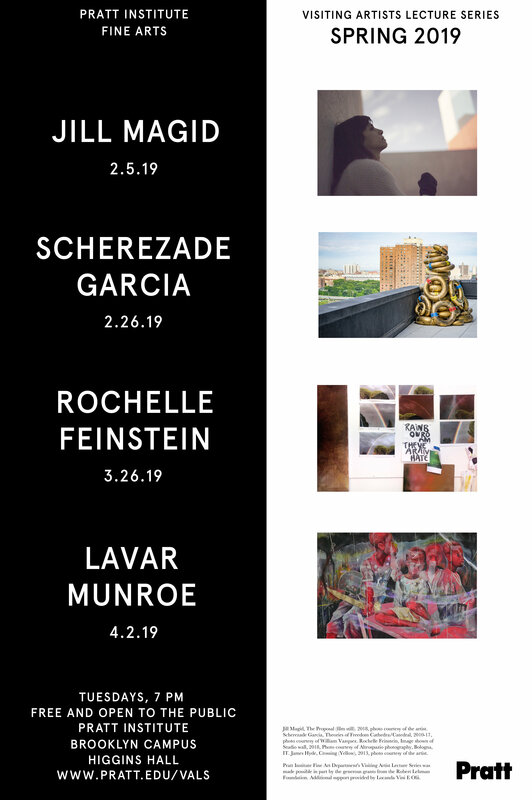 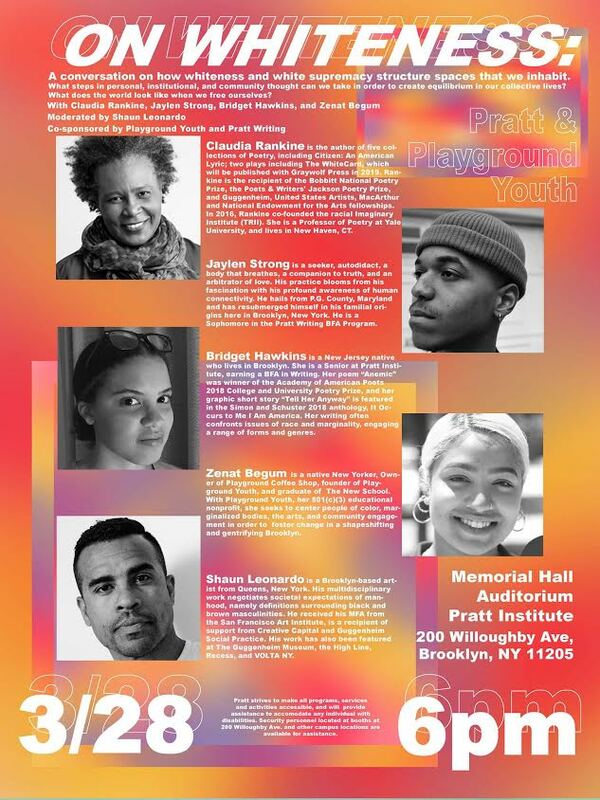 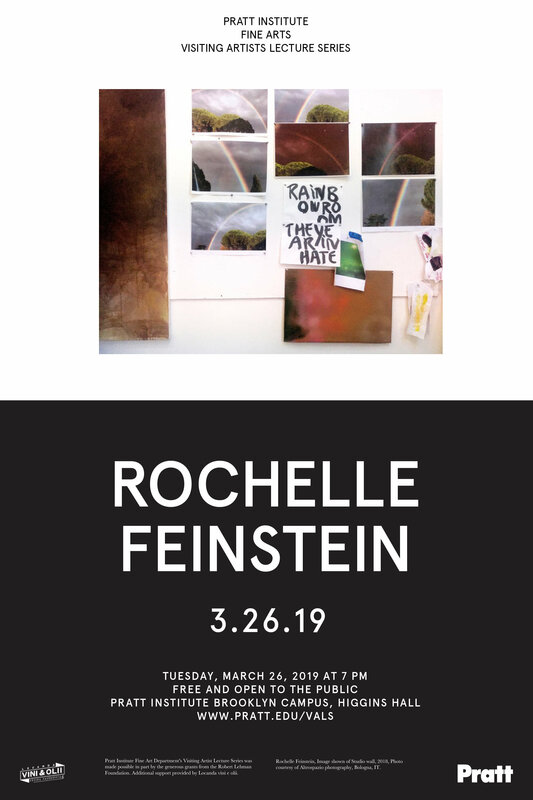 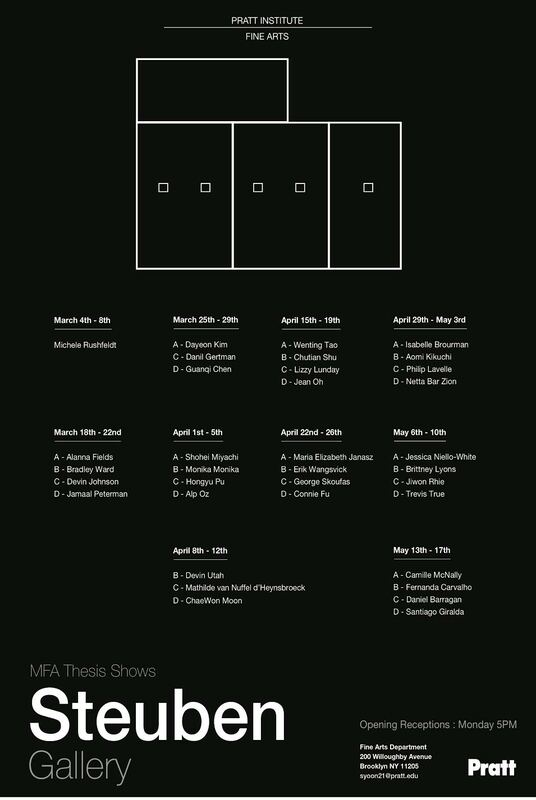 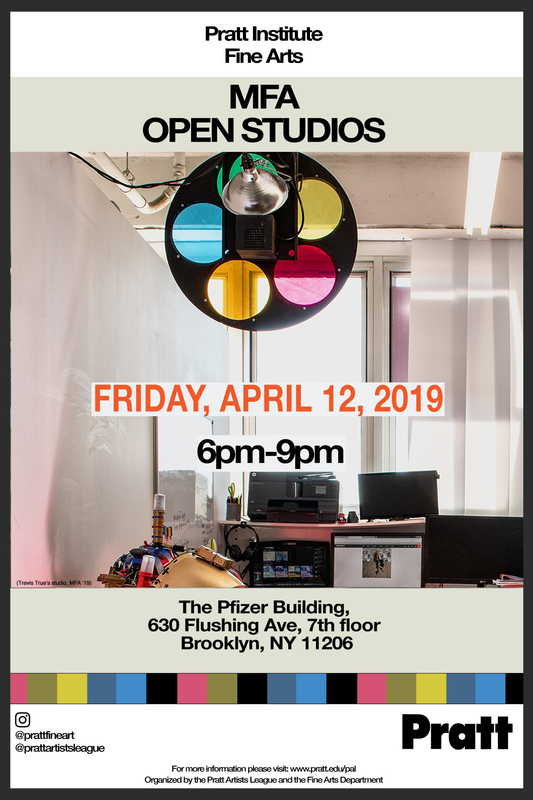 Our upcoming Visiting Artist Lecture Series with Rochelle Feinstein and our Faculty Lunch Talks with Jason Stopa both on March 26th as well as our MFA Open Studios on April 12th from 6-9pm at the Pfizer Building.